How to shield your users from simple mistakes? Data validation plays an important part in workflows. A foolproof validation structure in your system can protect it from simple human errors, like a missing digit in a bank account number, forgetting an important Form field, not adding an attachment, it can also block a certain element if one of the values in a field exceeds a certain limit etc. The possibilities are endless. 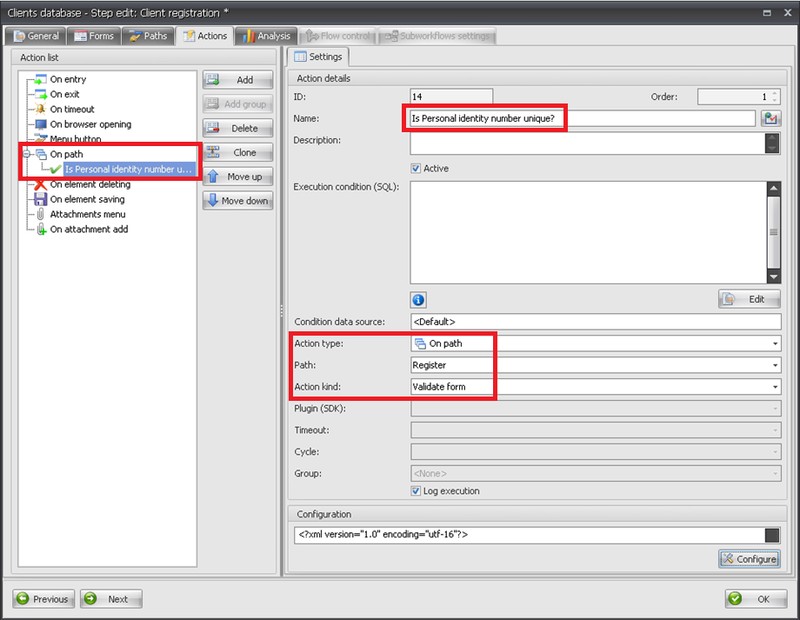 This article will demonstrate a couple ways of configuring your workflow form to validate values entered by users. Fig.3. 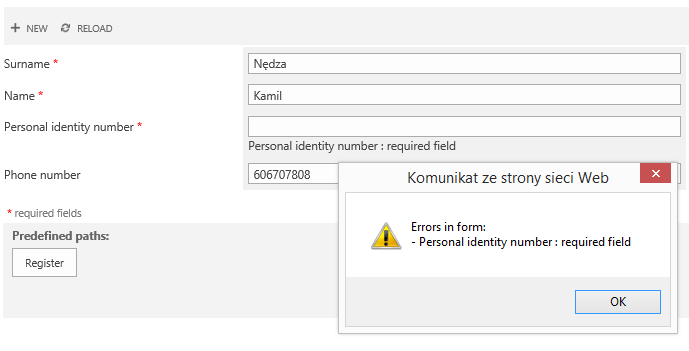 Skipping a required Form field results in an error message. Fig.4. 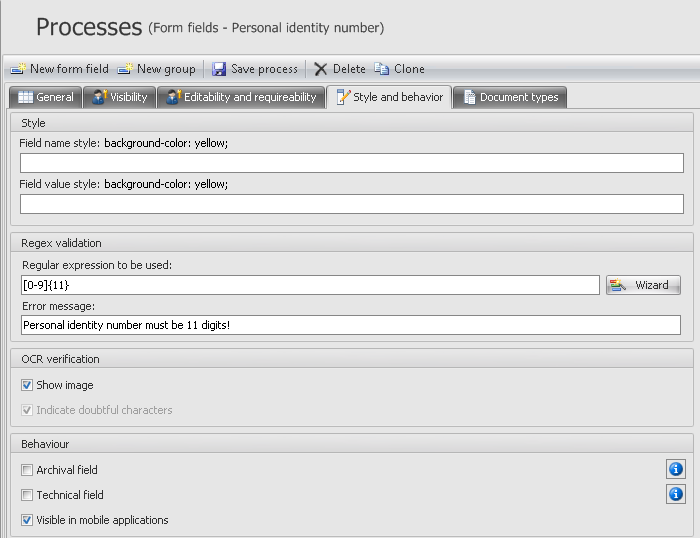 Regex validation for the Personal identity number field. Fig.5. 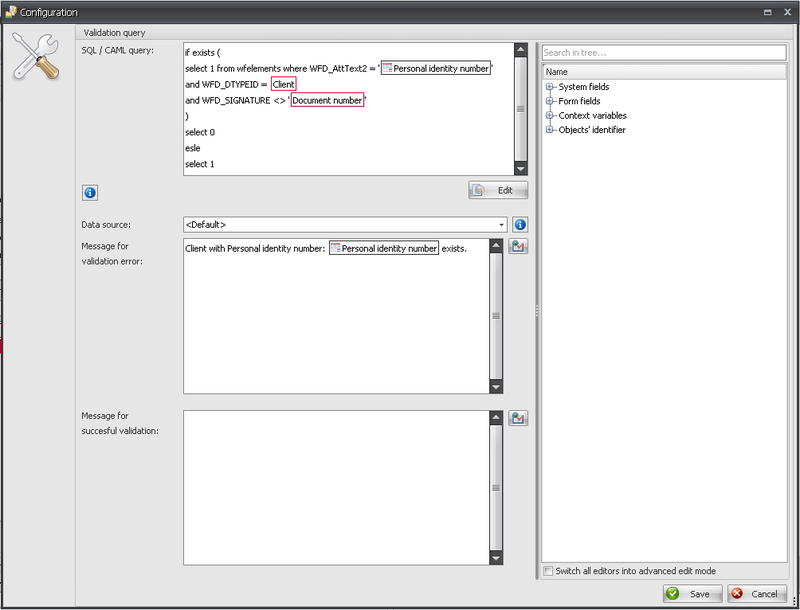 Regex validation error message if requirements are not met. Validation via “On path” action. Fig.6. 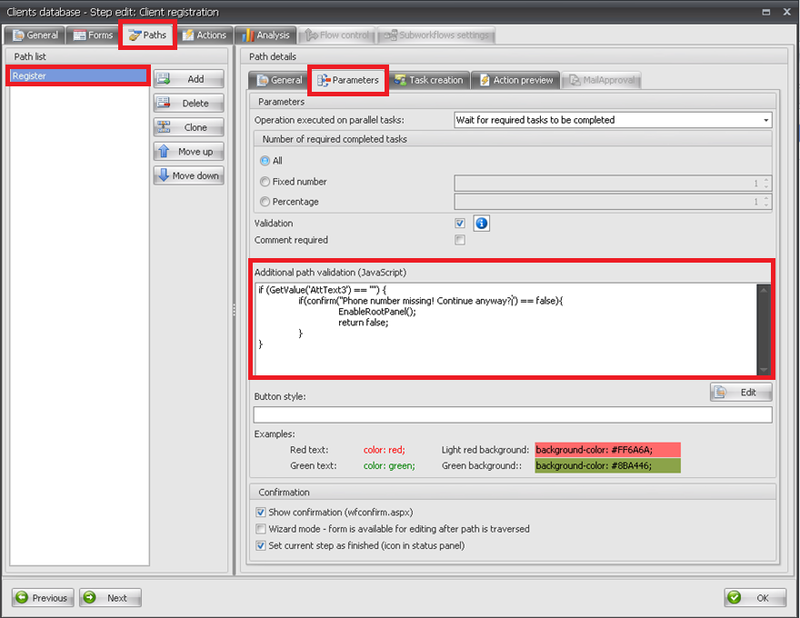 Adding a Validate form action to the Register path. In effect, if the user clicks the Register path button without filling out the Phone number field, they will get a message asking them if they would like to continue anyway. If they decide to click Cancel, the element will remain on the current Step.